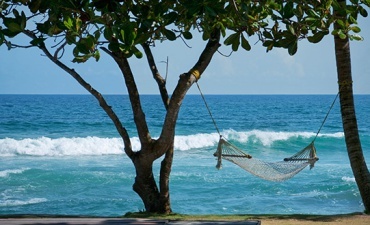 Escape to Sri Lanka with your dearest for a memorable romantic getaway and reignite your passion for travel and adventure. Sri Lanka’s breathtaking vistas of tranquil lakes settled amidst rolling hills, spectacular orange and pink hued sunsets on the horizon and lush paddy fields with mist-covered highlands in the backdrop, makes this island one of the best places for romantics. Whether it’s your first trip as a couple or the celebration of a milestone in your relationship, our diverse landscape is just a glimpse of what Sri Lanka has to offer for those who are looking for an extraordinary journey. Navigate your way through a thick canopy of jungle to visit forest monastery that dates back to 1st century BCE, receive a special blessing for your union, meet smiling Sri Lankans from different backgrounds along the way who will take you through their way of life, reminding you that life is about the little details. Go on a 15-day escapade around Sri Lanka with your loved one exploring ancient citadels, taking trains across highlands and going on safari drives. 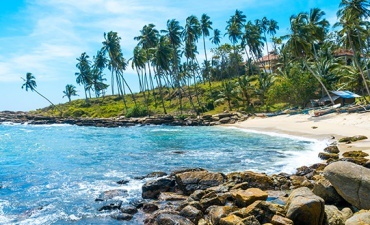 Reignite your love for travel on this 10-day itinerary covering Sri Lanka’s cultural and coastal hotspots including a stay in the Tea Country.